Your participation is critical for passage of a citywide 3' passing law! Mon, June 23, 5pm = Council votes! 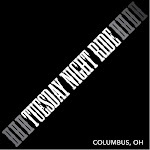 We applaud the City of Columbus for working with Yay Bikes! volunteers and staff to draft legislation requiring motorists to leave at least 3' of clearance when passing bicyclists. In the meantime, watch Yay Bikes! website for details and directions. Feel free to contact Catherine with questions about the legislation or this process. Please become a member or renew so that Yay Bikes! can continue this type of bicycle advocacy.